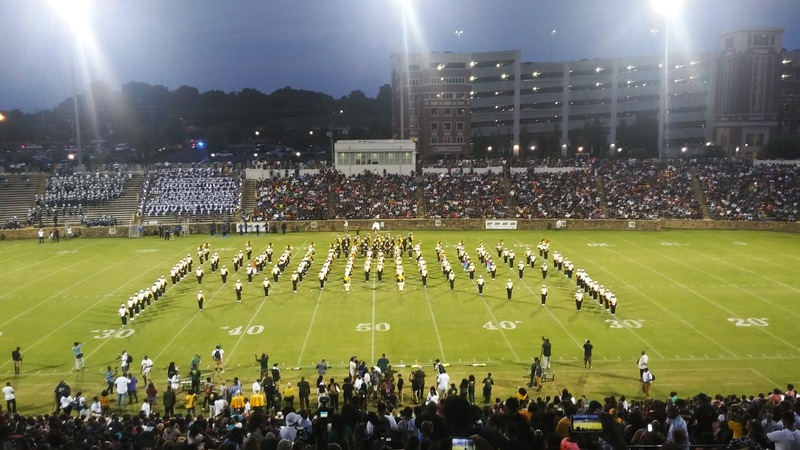 I know I still owe you a Queen City Battle of the Bands recap, and I promise you it's coming - hopefully even before the Week 1 Game of the Week. In the meantime, though, true to form, I've got to offer up my High Notes for Week 1. As you know, while the football was limited, I got more band - and certainly more live band - than I typically get to take in by heading down to Charlotte. 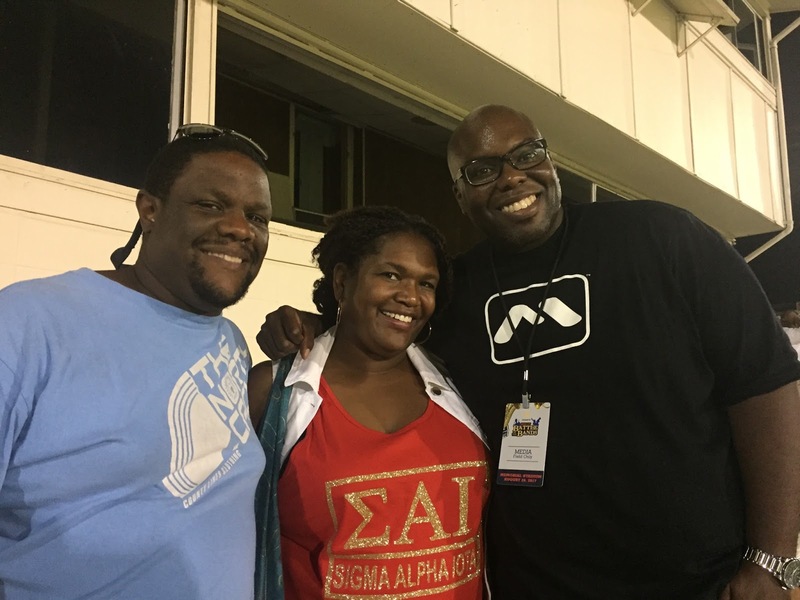 With that in mind, my High Notes citation for Week Zero goes to Norfolk State's Spartan Legion for doing the damn thing in the Queen City. My second high note isn't a band, but another part of the experience. I got to hang out for most of the show with Christy, founder of The 5th Quarter and - essentially redundant from the previous descriptor - bandhead extraordinaire. The 5th, for those unfamiliar, is essentially the pioneering bandhead community online, and has been for what has to be approaching two decades now. Christy and I connected on Twitter a few years back, on Facebook a bit more recently, and got to meet at QC, where she was graciously able to squeeze me in with her crew right on the 50. I also got to meet Gerard from Marching Sport after the show, and take the picture of a few stops on the bandhead internet.